For decades after its invention, Nikola’s electric motor was tethered to a fixed location 3-phase AC power outlet. The induction motor was finally freed from its moorings in the 1960s when Silicon Valley came to the rescue with digital electronics. It was around 1990 when maverick engineer Alan Cocconi developed one of the early portable inverters, a device that turns the direct current (DC) in an electric car’s battery into the alternating current (AC) required by an induction motor. The inverter/motor combination was first used in an EV that would eventually become the GM EV1, and later Cocconi dropped an improved version of that powertrain into the tZERO sports car, which would later be discovered by Tesla Motors co-founders Martin Eberhard and Marc Tarpenning, and a bit later by Elon Musk. Tesla would end up licensing the tZERO’s powertrain technology for the Roadster. Those historical dots being connected as they were, denote the principal reason Tesla Motors used the induction motor in its first production car (albeit with many improvements). 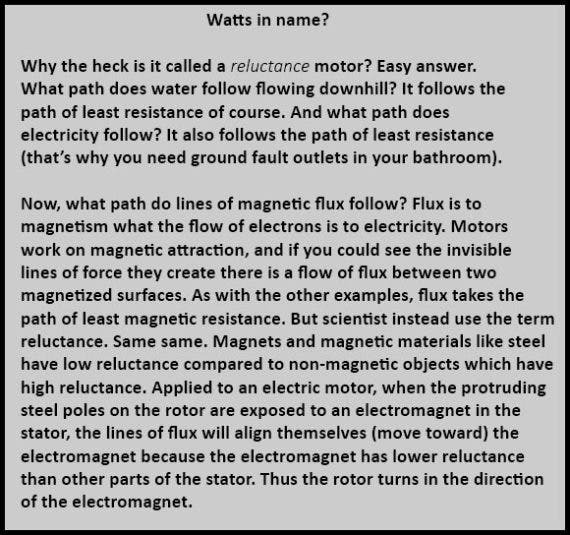 The beauty of the induction motor is that it doesn’t require any permanent magnets. Permanent magnets of sufficient power to spin up the motor of an EV are usually of the rare-earth variety, which are infamous for attributes such as high initial cost, the potential to demagnetize or break, sourcing issues, and price variability. But the transistor had made it possible to use the PM-free induction motor in the transportation sector. The induction motor uses electromagnets (coils of wire wrapped around a ferrous metal core), which can be turned on and off — or switched — many times per second thanks to transistors with esoteric-sounding names such as Complementary Metal Oxide Field Effect Transistor (MOS-FET) and, later, Insulated-Gate Bipolar Transistor (IGBT). The induction motor is of course a great machine. But it’s not perfect. Tesla’s implementation uses a costly and difficult-to-cast rotor fashioned from pure copper. And due to the nature of how induction motors function, the rotor tends to get hot and can even overheat. Heat is wasted energy (known as i2r loss), and in an electric car, that matters. The induction motor is also not as efficient at low speeds as some other designs, so the door has always been open to a more efficient and less costly solution. Uh huh. So now we know for sure that the Model 3 is not using an induction motor, and is using a permanent magnet motor. In fact, the EPA document actually stated the motor type — complete with a typo — as “AC 3 PHASE PERMENENT MAGNET” (as a reference, the Chevy Bolt EV uses a 3-phase permanent magnet motor). But this I believe is all we can say we know. From here on, it’s speculation. Guesswork. However, it’s guesswork where the pieces of the jigsaw puzzle are starting to fit together quite nicely. Let’s see if we can ascertain whether or not the Model 3 is actually using the same type of motor as, say, the Bolt, which is how things first appeared. Well hello. This is indeed a horse of a very different color. Few have heard of a Switched Reluctance Motor. What kind of animal is this? And, how can anything that powers a 3800 lb vehicle to 60 miles per hour in about 5 seconds be termed reluctant? Let’s answer both those questions along the way to discovering a few puzzle pieces. To best understand what is Model 3-worthy about the reluctance motor, we must first refresh our memories about how Tesla’s legacy 3-phase AC induction motor works (which I wrote about in some detail here). Even if you’re not a motorhead, just note this one observation regarding the motor: The induction part of the technology’s name has to do with the fact that in lieu of deploying expensive permanent magnets on the rotor, a large magnetic field generated from the stationary portion of the motor (the stator) actually induces an opposing magnetic field on the highly conductive copper rotor. And we know what happens when two opposing magnetic fields interact: they pull toward each other. If you have a magnet sitting on the kitchen table and move another magnet of opposite polarity nearby, the magnet in your hand pulls the other magnet toward it. Likewise when the two opposing magnetic fields generated inside the motor of a Ludicrous Model S P100D interact … the car takes off like a bat out of Hell. The reluctance motor is capable of similar magic. However, in this case, the design is not based on two magnetic fields interacting with each. There’s only one magnetic field. How can that be? Well, go back to that kitchen table and replace one of those magnets with a small piece of iron or steel. What happens when you move the remaining magnet toward the metal? The magnet will of course pull the chunk of metal toward itself. Now what if you were to fashion a rotor for an electric motor out of just a refined chunk of steel, but retain the existing electromagnets in the stator? As the electromagnets are turned on and off in just the right sequence, they would coax the steel cylinder to turn. Congratulations, you just designed a reluctance motor! And the fact that the electromagnets are switched on and off in sequence to spin the rotor (as with the induction motor), you have what is termed a Switched Reluctance Machine. Let’s pretend for a moment that you were assigned the job of designing a new motor for the Model 3. Elon Musk has specified that your design must cost less than the Model S motor. You have also been instructed that the motor must not compromise on performance, yet it must be lighter and more efficient than its sibling. What would you do? You’d think about applying for a job at the McDonald’s down the road from the Fremont factory. No, no — after that. Here’s a hint: You would examine all the different electric motor architectures that exist. In doing so, you would come across a design that’s actually older than Nikola Tesla’s 1892 invention. More than 50 years earlier, the reluctance machine had been invented in 1838. And it’s a surprisingly sweet design. The reluctance machine is simple, it’s efficient, it’s compact in size. And, it’s inexpensive to produce. Yet the reluctance motor sat on the shelf for over a century, suffering from a debilitating disease called Torque Ripple (due to the reluctance machine’s propensity to incur a phenomena know as cogging). Torque ripple simply means that the power output of the reluctance motor fluctuates up and down. Certainly not good for an EV. When you put the pedal to the metal, you want a nice smooth acceleration ramp. The reluctance machine was partially rescued by the same technology that made it possible to put the induction motor into an electric car — power electronics from Silicon Valley. The reluctance motor is notoriously difficult to control (RPM, determination of rotor position, etc. ), but modern inverters and control systems helped overcome that foible. Still, the torque ripple issue remained a challenge even as the 21st century approached. But in poking around, you start to notice some research on the topic taking place in the first decade of this century. You come across a 2011 research paper claiming that the torque ripple issue has been addressed. The researcher had embedded some small rare-earth magnets in the stator of a reluctance motor right along with the existing electromagnets. In doing so, the torque curve had smoothed out. As a bonus, the paper claimed to achieve a 30% boost in power output with the inclusion of the rare-earths. Now there’s some first principles thinking. Whoever first thought of lacing the stator with rare-earths has apparently come up with the greatest marriage since someone thought to sink a chocolate bar into a jar of peanut butter, producing the Reese’s Peanut Butter Cup. Your thoughts coalesce. With two of the major issues of the reluctance machine having been addressed, you take the plunge and start working with this design. The first thing you are able to do is discard that expensive copper rotor in the legacy motor and replace it with a far cheaper ferrous metal rotor. Probably steel. And probably silicon steel. You just saved a ton of money. Next, although the rare-earths are expensive, they are going into the stator, not on the rotor as with a traditional permanent magnet motor, so you’re going to be augmenting the electromagnets with relatively smallish permanent magnets. Your chosen design has some issues with acoustic noise, but you feel that it’s worthwhile to pursue this design because it’s the simplest and least expensive motor to build, yet highly efficient and powerful (especially with those rare-earths). Good job! So, the first puzzle piece in the theory that Tesla has put a switched reluctance motor in the Model 3 is the magnets. We know they’re in there, and now we know that one of the latest breakthroughs in motor design is the inclusion of rare-earths in the stator of the reluctance machine. This is huge. It has brought the reluctance machine out of mothballs! Another clue that the Model 3 motor is not using those rare-earths in a conventional permanent-magnet motor design is that the car does not do regen all the way down to 0 miles per hour. For example, the Bolt has a conventional 3-phase PM motor which allows it to do regen to 0 MPH. I saw this for myself last year when I test drove a Bolt — you can stop without applying the brakes. We’re calling this puzzle piece #2. Here’s another one: The “dealer” sticker on the Model 3 in the showrooms indicate a “Three phase, six pole, internal permanent magnet motor.” The Tesla induction motor is a 4 pole design, as are many EV motors. Why then a six pole motor? This is a reference to the way the coils on the stator are wired to work with the 3-phase power (three separate power legs). The closer the spacing of the poles, the less time there may be for torque to fall off. It may be Tesla’s way to further smooth torque ripple. That’s puzzle piece #3. Puzzle piece #4 is that various engineering/motor design publications are starting to talk up the reluctance machine (see article links below). And we are starting to see the reluctance design appear in EVs, such as the Prius. Furthermore, UPS has announced that a switched reluctance machine will be used in a program to convert their fleet to electric power. The company is claiming its implementation of the reluctance motor over other designs will reduce charging times and increase energy efficiency by up to 20% (the company is distancing itself from the use of rare-earth magnets, though). And, in general, industry applications for updated reluctance motor designs are starting to pop. For example, in a recent CleanTechnica article, Software Motor Company (SMC) is declaring that its new reluctant machine design — with what they are calling its own version of “secret sauce” — will save 50% on energy costs over the current induction motors in use at Walmart for HVAC, etc. Finally, the motor in the Model 3 is indeed smaller than the Model S motor. 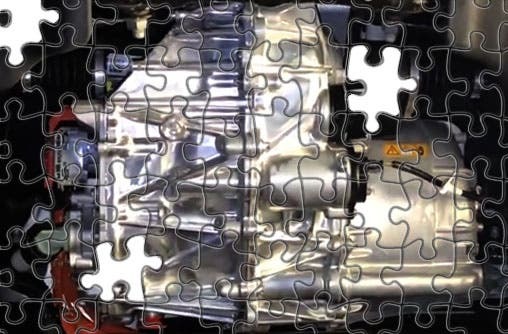 In a recent Jack Rickard EVTV video examining the Model 3, Jack asserted that the Model 3 motor is actually smaller than even the smaller front motor on the Model S. Yet performance has not been overly compromised. Some owners have reported 0–60 times as quick as 4.8 seconds in their Model 3. That of course is due in part to the 1,000 lb of less weight than the S, but still let’s tentatively call this puzzle piece #5. Further support of piece #5 comes from Rickard’s continuing comments while still under the car (Rickard, by the way, has gone as far down the Tesla drivetrain rabbit hole as anyone I’ve ever heard of). Extrapolating from EPA documents, Jack is calling the Model 3’s “battery-to-wheels loss” as 6 percentage points more efficient than the Model S (89% of electrical energy is converted to forward motion, compared to 83% for the S). 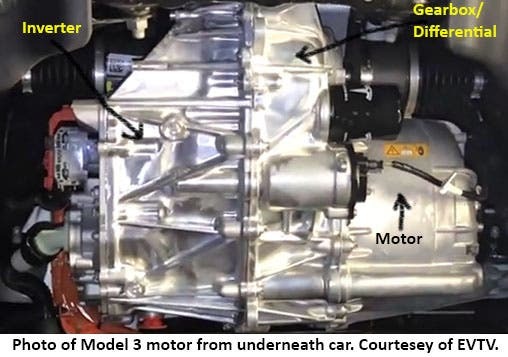 Photo of Tesla Model 3 motor from underneath car. Courtesy of EVTV. Regardless of the exact motor design, Tesla has clearly hit it out of the park with the Model 3’s powertrain. They gave their motor designer team, if not a blank check, a blank whiteboard, and the team came up with a design suitable not only for an affordable electric car, but for the upcoming Tesla Semi as well. Note that Chief Designer Laskaris joined Tesla after the Model S had been developed. His head must have been full of fresh ideas from when he earlier had co-founded a project to design and build an efficient electric car. Like Straubel, Laskaris gravitated to Tesla already having a notion that the future was electric. 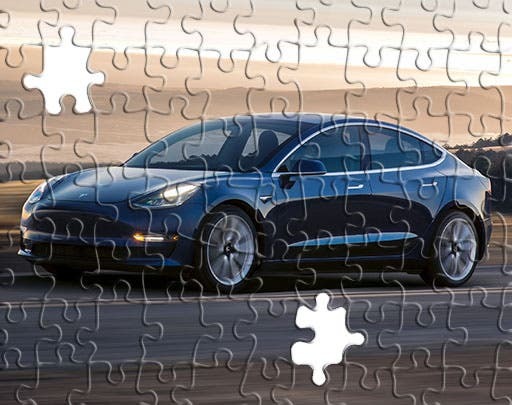 Although the use of a reluctance machine in the Model 3 has yet to be verified, with the sudden talk from so many quarters for so many applications of this motor tech, it’s hard to believe that Tesla would not have a front row seat to this event. All in all, it is quite possible 2018 will go down as the year of the reluctance motor. Welcome to the machine. This article has been slightly modified after publishing for accuracy.